All right now this one is going to be another posting, not about gaming. Just as with most people my life is complex, I don't get up in the morning sit down and play games all day I have other interests as well. One of those other interests is shaving like a man. Your grand father (or possibly great-grandfater) did it, your father may have done it, but odds are you haven't. Shaving can be an almost zen like experience; it doesn't have to be something you do as quickly as possible and view as being one of those annoyances that comes with being male. You can shave your face and actually enjoy it, make it your "me" time each day. I accomplished this and I'm going to tell you how I did it. Do some research, we're talking about classic shaving, that means no fancy 3, 4, or 6 bladed razors, those are actually really bad for your skin, they can cause the nasty irritation known as razor bumps. Even double edged razors are bad for you. Ever look at that 80 year old guy that still has the face of someone 20 years his junior? I'm almost willing to bet he doesn't have a 10 bladed razor with a laser aligned trimmer that lubricates, vibrates, illuminates, and overly complicates his life and wallet. Disposable blades are expensive, you are paying extra to ruin your skin! So what's research have to do with this? Well you want a good shave, that's affordable, not wrecking your face, and is relaxing? Then do some research! I switched to Straight Razors. They cost a good bit upfront, but they last a lifetime. Purchasing 4-7 of these will give you all you need to actually enjoy shaving and over time they will pay for themselves. Even the old Double Edged razors, you know the one's that you twist the handle on and insert a throw away blade into, are much better for your skin and affordable than disposable blade razors over time. Do more research. You've decided between either Straight or Double Edge (DE for short), now you need a razor. DE's are cheaper and more readily available. Straights on the other hand require a bit more work. Most modern Straight Razors are junk, if they have Pakistan stamped on them or the steel is made in Pakistan they usually, though not always, will not hone or hold an edge well. 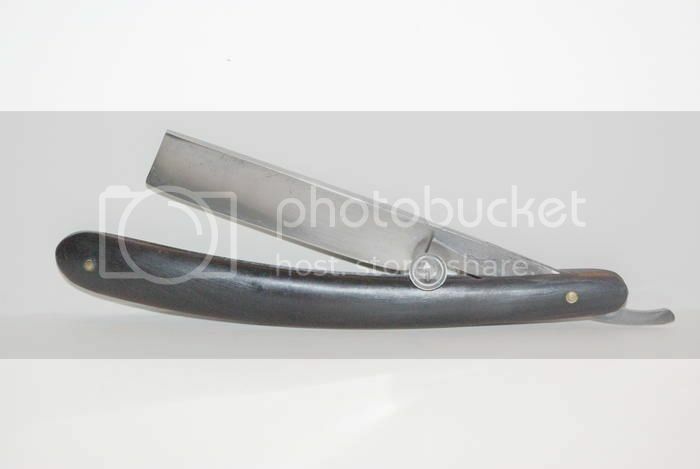 You'll do much better buying an antique razor. Ebay is an option, though not always the best, you get a brief description often by someone who knows little about the razors themselves. So what are your options? GOOGLE! All three of these sites carry razors, being sold by enthusiasts. But you'll need more than that, you'll need a strop for starters, it's a necessary item to keep your razor up. You may or may not wish to re-hone your razor yourself for that you'll need a set of hones and those can also be found easily enough. I'd suggest going to Whipped Dog, and ordering the poor mans strop kit, you'll get everything you need and they are fairly cheap ($23 in the US). You will probably destroy your first strop so this is a good avenue. I also recommend buying a razor from one of these places as they will come "Shave Ready" meaning you won't need to sharpen your new razor first. You've got the razor, strop, brush, soap... wait Brush and Soap? You don't think I'm going to let you shave with that blue goop in a can do you? That stuff really doesn't work as well as good old fashioned shaving soap when it comes to DE's and Straight Razors. While you can't find the razors down at your local drug store, I bet you can get shaving soap, the same is true for your supermarket, or local big box retailer. You can also check at some retailers for the brushes but you'll most likely find it at barber supply store. You have all that stuff right? Good then it's time to start. Work up a good lather with your brush and apply it... work it in to the whiskers, take your time and do it right. Next step is to take your time if it doesn't feel right stop. You don't want to cut yourself, do it right and take your time. You don't even have to finish the entire shave with the new razor. Just do what you are comfortable with until you get the hang of it. Splash on your favorite aftershave and BAM! You're learning to shave like a man.